Easter is on it way! Time has been flying by but in a good way. Each year that goes by I love the little things about holidays more and more. The small details like a personalized items on a gift make me smile. Items for my son with his name on it are things I treasure since I know one day he will grow up and those types of things will not be "cool". So for now I will indulge in my need to have cute little personal touches on items. 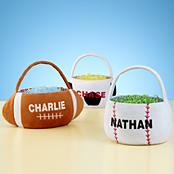 For Easter this year I knew we needed a personalized basket. The few Easters we have had as parents have been so fun. 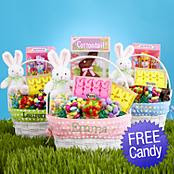 This year we want to go to a big Easter egg hunt in our neighborhood and him having his name on his basket will ensure no other little bunnies will try to claim his basket. 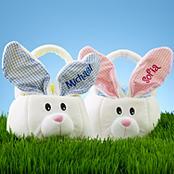 The Personalized Easter Basket from Personal Creations is the basket we selected. It comes with free candy inside and you can pick from pink, blue or green. When the basket arrived I was pleased with the stitching and the value of the candy we received. There was even a little plush bunny included. 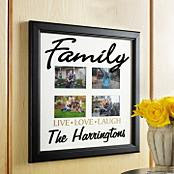 Another great gift is a personalized family photo frame. Everyone loves a reason to be able to share pictures of their cute kids right?!? 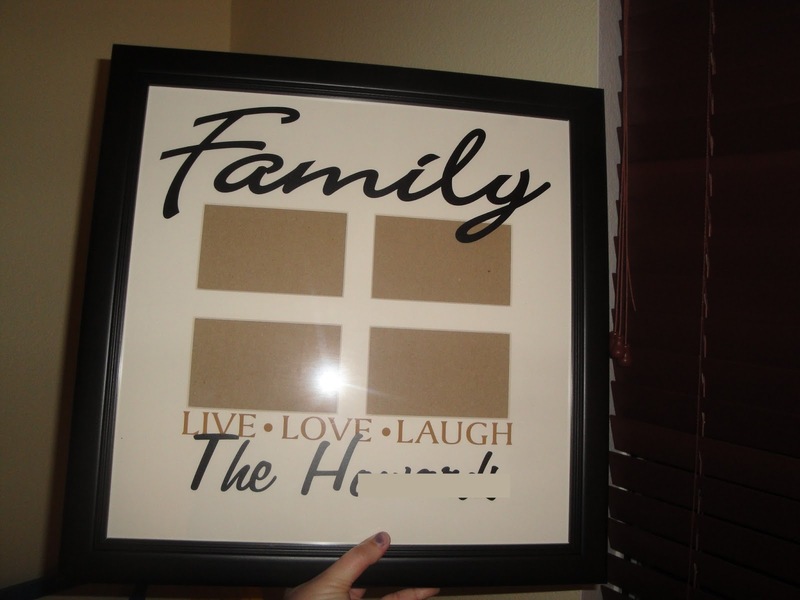 We ordered a nice frame that says Family Live Love Laugh and our last name. 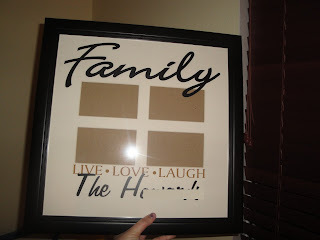 I was a bit surprised that the family name part was written up into the part that reads Live Love Laugh. The picture of the item did not do that. Most people it would not bother but small details like that catch my eye. It just needs to be written a tad lower. But I am sure they could fix that through customer service. The "T" is over the LIVE part and the "H" into the E in love. Personal Creations has so many cute items. I spent hours looking at all the gift ideas they have. I saw kitchen items, baby stuff and more frames that I would love to have in my home. I think the personal touches to the items make great gifts for any home.